This is an original drawing used for the design of a Star Wars cast and crew T Shirt from the late 1970's. 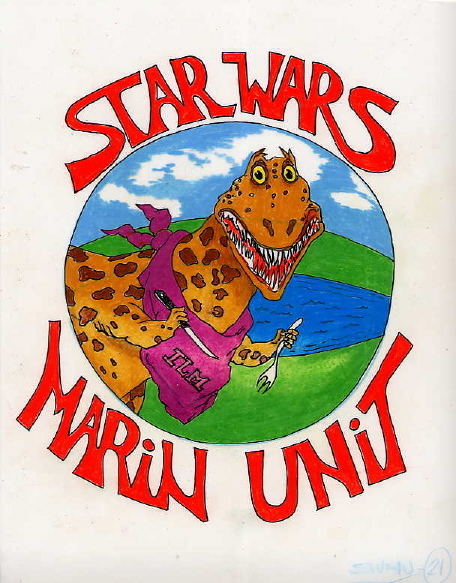 The Star Wars Marin Unit design was used on several concepts for the crew t shirt. This one features a dinosaur ready to eat.